A tense, thrilling seafaring adventure. 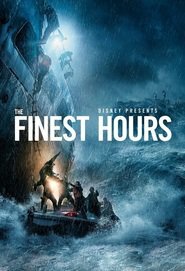 Chris Pine and Casey Affleck lead an adequate cast in this true story of incredible bravery. It suffers from being so traditional and the romantic elements that are sickly sweet. There is little real character development and tries to hard to be exciting. The soundtrack is traditional and constantly present. The special effects are believable and the opening scenes where the tanker breaks in half are amazing. The story is a series of impossible challenges that are overcome. It’s all pretty predictable but it still manages to be suspenseful in most part. It’s available in 3D but I wasn’t able to make that session so not sure whether it would be worth seeing in that format.